Get to grips with your insides and discover how your gut works! This series takes readers on a visual tour of the gut and digestive system, explaining how food is processed and its journey through your body. A section on the different food groups help to demonstrate the importance of a balanced diet for digestion. 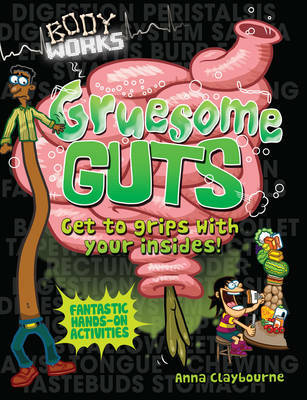 Fun experiments and activities include making a model stomach and measuring your guts. Following on from the successful Science Crackers series, Body Works explores the science of the Human Body. Bitesize facts and gross stories make information easy to digest. Lively and informative text is supported by clearly labelled illustrations and detailed photographs, while questions help children to relate to science and comical cartoons help them to visualise scientific facts.